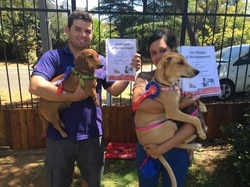 Hills puppy 101, Hills puppy 201, Clicker instructors course certificate, Ethology Academy basic dog behaviour certificate, Ethology Academy Advanced dog behaviour certificate. 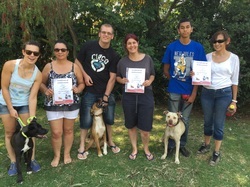 Linda Venter – Hills puppy 101, Hills puppy 201, Hills puppy 301, Basic animal behaviour course. 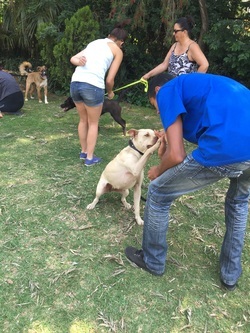 Fun Obedience Puppy School is a positive reinforcement training based school where our aim is to increase the communication between dog and owner and in turn creating a happier household. 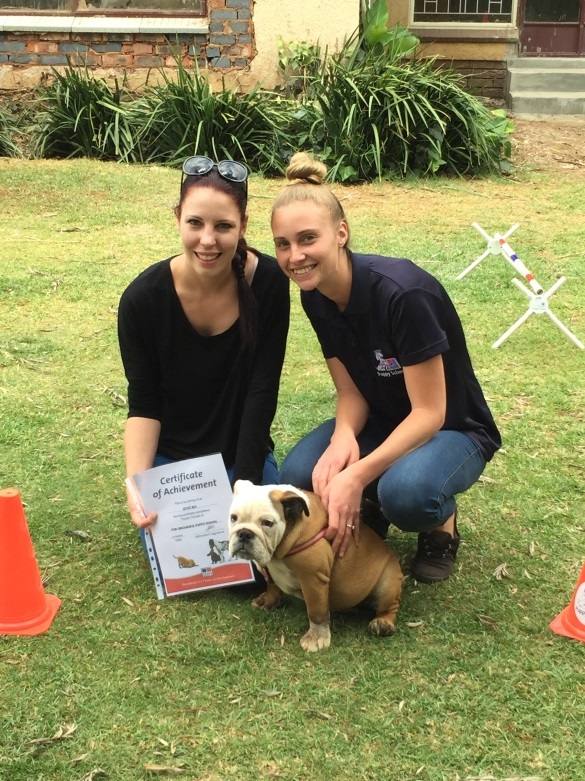 We believe that puppy school is your very first step to having a well-rounded dog who does not suffer from any behavioural problems as we teach pups to respond to their owners and we teach owners how to prevent problems from occurring. We understand just how important dogs are to owners and therefore we promote healthy interactions between dog and owner and help build up their bonds. We believe that in the canine/human social structure, humans should be at the top as this will result in your dog feeling more secure and happier therefore we help owners achieve this and give them the tools to continue with the training and exercises throughout the dog’s life. We are passionate about dogs and our aim is to ensure every dog and every owner that leave our school after 5 weeks have effective communication with one another and most importantly are having fun with their training! We also provide basic information on size appropriate nutrition, how to prevent diseases, parasite control and how to keep dogs safe during transportation.